Take advantage of the computer facilities in the Chapman Learning Commons (located on level 3 of the Irving K. Barber Learning Centre) which include 23 PC and 16 Mac workstations. Students, faculty and staff can access our computers with a CWL login or library barcode and pin number. Community members and public users can obtain guest access IDs from the Irving K. Barber Learning Centre circulation desk. Government issued photo ID is required for the guest access IDs. All PC workstations have sound cards, USB ports, and a DVD-RW drive. Mac workstations are available on level 3 of the Chapman Learning Commons, on level 3 of the Music, Art & Architecture Library, on level 3 of Koerner Library and on level 2 of the Law Library. Adobe CC These programs include: Acrobat DC; After Effects CC 2017; Animate CC 2017; Audition CC 2017; Bridge CC 2017; Character Animator CC (Beta); Dreamweaver CC 2017; Extension Manager CC 2017; Fireworks CS6; Flash Builder 4.7; Illustrator CC 2017; InCopy CC 2017; InDesign CC 2017; Lightroom; Media Encoder CC 2017; Muse CC 2017; Photoshop CC 2017; Prelude CC 2017; Premier Pro CC 2017; Scout CC; SpeedGrade CC 2015; Adobe XD - Coming soon! 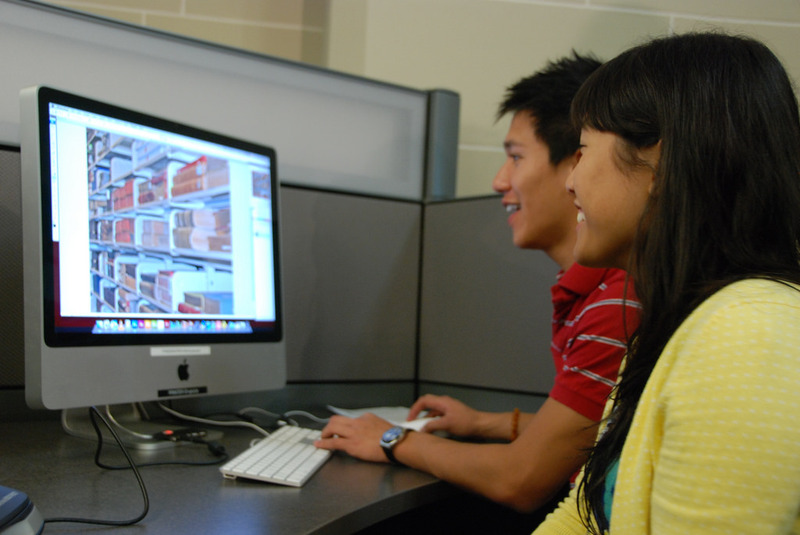 In the Chapman Learning Commons, there are 6 scanners available at the Mac workstations, including an express scanning station with a ten minute time limit. All Mac workstations come with an SD card reader on the back right side of the monitor.